Vijay 60 first look has been all set to release on the 5th September 12.01 AM. 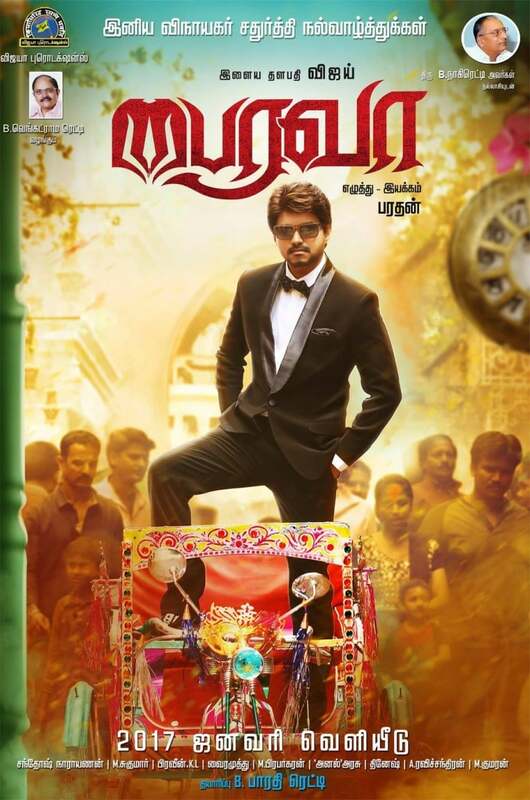 But the first look poster of the movie has been announced today itself and the film is titled as bairavaa Bharathan, who had directed Azhagiya Tamil Magan with Ilaya Thalapathy Vijay earlier, had directed this movie as well. The leaked first look poster of the movie has been spreading all over now. Last year, the first look and also the teaser of Vijay movie Puli leaked out before release. This film named Bairavaa will hit the screens only in next year. 2017 January will witness the release of this Vijay movie and it is bankrolling by Vijaya Productions. Santhosh Narayanan, who had tuned the songs for Kabali had composed the music for this film. 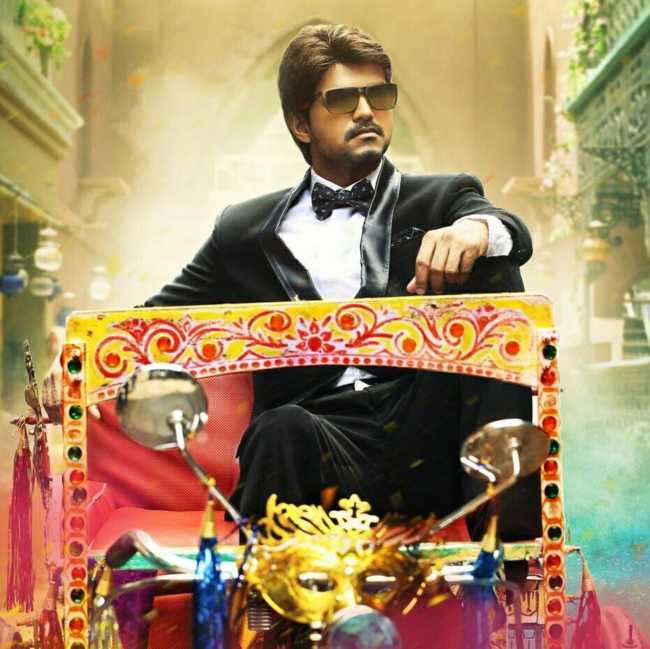 Vijay too had sung a song in this movie as per reports.